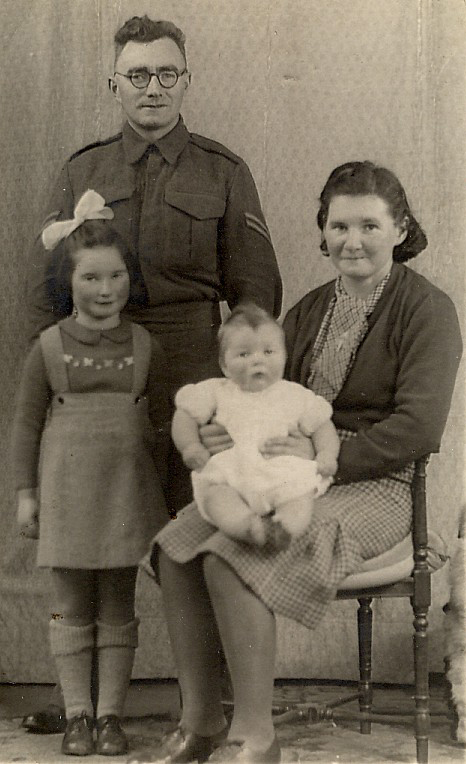 The Geddes family in 1943 when my dad was home on leave. Willie Geddes ended the war as a Staff Sergeant. The photographer has gone a bit mad with whatever preceded Photoshop! That’s my sister Audrey on the left and myself on my mother’s knee.